This timeline is an introduction to the rich history of the Gallery as a preeminent cultural institution. Selected key events from the museum’s past are supplemented with archival images, audio recordings, and other documentary material from the holdings of the Gallery Archives. Scroll down to view events by decade or click the line of dots below to navigate to a specific year. For more information about the history of the Gallery, please contact the Gallery Archives at [email protected]. 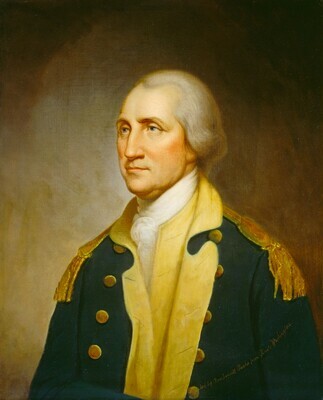 Andrew W. Mellon in his apartment at 1785 Massachusetts Avenue NW, Washington, DC, with A View on a High Road by Meindert Hobbema hanging above the fireplace mantel. 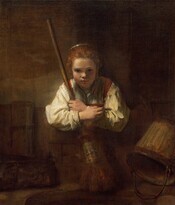 National Gallery of Art, Gallery Archives. Secretary of the Treasury Andrew W. Mellon first writes of his interest in establishing a national art museum in the nation’s capital. 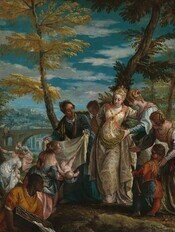 Andrew W. Mellon completes his purchase of 21 masterpieces from the Hermitage Museum, including Raphael’s Alba Madonna, Van Eyck’s The Annunciation, and Botticelli’s The Adoration of the Magi. Click an image above to open the slideshow Masterpieces from the Hermitage Museum Purchased by Andrew Mellon in 1931. Conceptual drawing for the National Gallery of Art by John Russell Pope, February 1936. Photostat of lost original. National Gallery of Art, Gallery Archives. Andrew W. Mellon commissions architect John Russell Pope to make the first sketches for the National Gallery of Art at a site on the National Mall in Washington. Newspaper clipping, "Mellon Gives Priceless Art Building to U.S.," Washington Star, January 3, 1937. On December 22, Andrew W. Mellon writes to President Franklin D. Roosevelt, formally offering to donate his art collection and to build the National Gallery of Art. West Building original construction progress, July 1937. Commercial Photo Co. 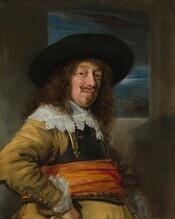 Gift of Paul Mellon, National Gallery of Art, Gallery Archives. On March 24, Congress passes legislation to establish the National Gallery of Art. In August, Andrew W. Mellon and John Russell Pope die within 24 hours of each other, shortly after construction for the new museum begins (left). Samuel H. Kress’s Fifth Avenue apartment in New York City with Pesellino’s The Crucifixion with Saint Jerome and Saint Francis, Domenico Veneziano’s Madonna and Child, Giovanni Bellini’s Saint Jerome Reading, and other works of art in view, late 1930s. National Gallery of Art, Gallery Archives. 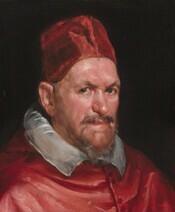 Samuel H. Kress and the Samuel H. Kress Foundation donate a collection of Italian paintings and sculpture, the first major addition to the Gallery’s collection (above). The Gallery loans three paintings from the Mellon collection to the Golden Gate International Exposition in San Francisco and three to the New York World’s Fair, the first loans made by the new museum (below). 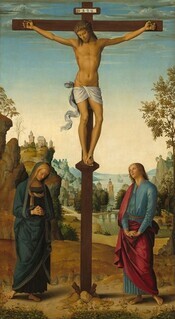 Click an image above to view the slideshow, Masterpieces from the Hermitage Museum Purchased by Andrew Mellon in 1931. West Building original construction progress, November 1940. Commercial Photo Co. 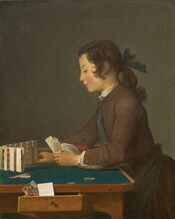 Gift of Paul Mellon, National Gallery of Art, Gallery Archives. Construction of the museum's building is completed in December and installation of works of art begins. President Franklin D. Roosevelt speaking at the dedication of the National Gallery of Art, March 17, 1941. National Gallery of Art, Gallery Archives. The National Gallery of Art is dedicated on March 17 by President Franklin D. Roosevelt at evening ceremonies attended by 8,822 guests (above and below). The museum opens to the public the next day. Listen to President Franklin D. Roosevelt's speech at the National Gallery of Art dedication ceremony, March 17, 1941 (above). The Gallery's first special exhibition, Two Hundred American Watercolors, opens on the ground floor on May 15. Nightly black-outs of the Gallery building for air-raid protection begin on December 8. Joseph Widener donates the Widener collection of paintings, sculptures, tapestries, jewels, furniture, ceramics, and other art objects in memory of his father, Peter A. B. Widener (right). The Gallery’s most valuable paintings and sculpture are evacuated to Biltmore House in North Carolina for wartime protection. The Gallery remains open on Sunday evenings for the "benefit of men in the armed forces and war workers in the city." Sunday evening orchestra concerts are presented through the generosity of Chester Dale (below). The Gallery remains open on Sunday evenings for the "benefit of men in the armed forces and war workers in the city." Sunday evening orchestra concerts are presented through the generosity of Chester Dale. US servicemen entering the National Gallery of Art, c. 1942. 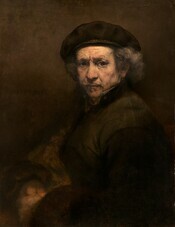 National Gallery of Art, Gallery Archives. Two US sailors in the West Building Constitution Avenue lobby, c. 1942. National Gallery of Art, Gallery Archives. US servicewomen looking at art at the National Gallery of Art, c. 1942. National Gallery of Art, Gallery Archives. National Gallery of Art Orchestra performing in a concert in the East Garden Court, December 26, 1942. National Gallery of Art, Gallery Archives. US servicemen in the Founders Room, c. 1942. National Gallery of Art, Gallery Archives. US servicemen sleeping at the National Gallery of Art, c. 1942. National Gallery of Art, Gallery Archives. Click an image above to open the slideshow, US Servicemen and Servicewomen at the National Gallery of Art during World War II. Lessing J. Rosenwald. 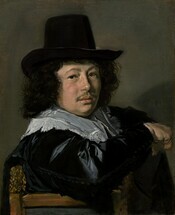 National Gallery of Art, Gallery Archives. Lessing J. Rosenwald (left) donates a collection of prints and drawings, his first major gift to the museum. His gifts eventually total over 22,000 prints and drawings. The American Commission for the Protection and Salvage of Artistic and Historic Monuments in War Areas, known as the Roberts Commission, is organized with its headquarters in the museum. 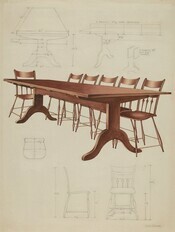 The Gallery accepts the Index of American Design, a collection of more than 18,000 drawings and watercolors documenting early American design and craftsmanship, and related research materials, from the federal Works Progress Administration (below). 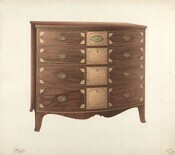 Click an image above to open the slideshow, Selected Works from the Index of American Design. The first annual American Music Festival is held on Sunday evenings during March and April in the East Garden Court. Works of art are returned to the Gallery from wartime storage at Biltmore House (below). Click an image above to open the slideshow, Return of Works of Art to the National Gallery of Art after Wartime Storage at the Biltmore House in Asheville, North Carolina, 1944. West Building Main Floor gallery M-24. 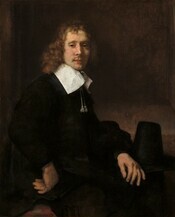 National Gallery of Art, Gallery Archives. In honor of the museum’s fifth anniversary, six new galleries are completed for the special opening exhibition of the Kress collection. 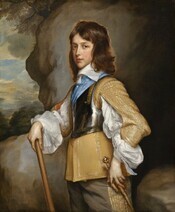 The A. W. Mellon Educational and Charitable Trust gives the Gallery 113 portraits from the Clarke collection, with the provision that some works may be transferred to a national portrait gallery, should one be established. Crowds in the exhibition Paintings from the Berlin Museums (March 17–April 25, 1948). National Gallery of Art, Gallery Archives. 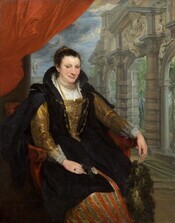 Nearly one million people see 202 paintings from Berlin Museums during a 40-day exhibition at the National Gallery of Art. 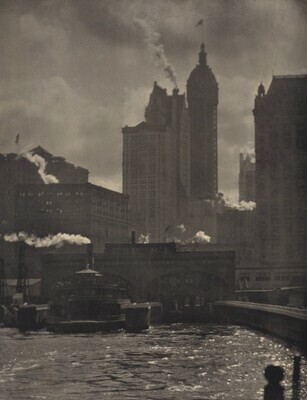 A key set of about 1,500 photographic prints by Alfred Stieglitz is given to the Gallery by Georgia O’Keeffe, executor of the Stieglitz estate. West Building, Main Floor gallery M-60. 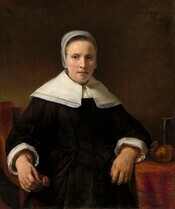 National Gallery of Art, Gallery Archives. Twelve new exhibition galleries open on the east side of the Gallery’s Main Floor. The first A. W. Mellon Lectures in the Fine Arts are given by Jacques Maritain on the subject of "Creative Intuition in Art and Poetry." Edgar William and Bernice Chrysler Garbisch give 142 paintings from their collection of early American art, the first of several major gifts to the Gallery. Rush H. Kress (left), Jocelyn Kress, and National Gallery of Art director David Finley at the opening of the Exhibition of Paintings and Sculpture Acquired by the Samuel H. Kress Foundation, 1951–1956 (March 18–October 30, 1956). National Gallery of Art, Gallery Archives. In celebration of its 15th anniversary, a special night opening is held for the Exhibition of Paintings and Sculpture Acquired by the Samuel H. Kress Foundation, 1951-1956. Two visitors with the LecTour self-guided audio tour system in front of Winslow Homer’s Right and Left. 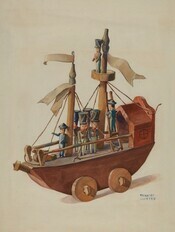 National Gallery of Art, Gallery Archives. The innovative LecTour radio guide system is installed in several main floor galleries. Chester Dale in the National Gallery of Art West Garden Court, c. 1943. National Gallery of Art, Gallery Archives. Chester Dale dies, bequeathing his collection of modern French and American paintings to the National Gallery of Art. Visitors viewing Mona Lisa by Leonardo da Vinci (January 9–February 3, 1963). National Gallery of Art, Gallery Archives. The Mona Lisa, lent by the Government of the French Republic to President Kennedy and the people of the United States, is viewed by more than a half million visitors in its 26-day display at the Gallery. National Gallery of Art director John Walker (left), First Lady Mrs. Lyndon B. Johnson, and Mr. and Mrs. Paul Mellon at the opening reception for the exhibition French Paintings from the Collections of Mr. and Mrs. Paul Mellon and Mrs. Mellon Bruce (March 18–May 1, 1966). 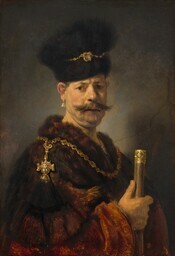 National Gallery of Art, Gallery Archives. In honor of the museum’s 25th anniversary, the Gallery exhibits 19th- and 20th-century French paintings from the collections of Mr. and Mrs. Paul Mellon and Ailsa Mellon Bruce. 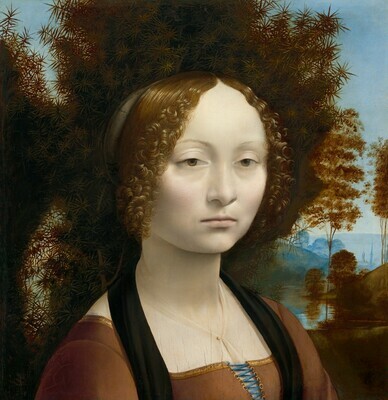 Leonardo da Vinci's Ginevra de'Benci is acquired through the generosity of the Ailsa Mellon Bruce Fund (left). Paul Mellon and Ailsa Mellon Bruce donate funds for the new East Building. I. M. Pei & Partners begin schematic drawings for the East Building, which includes a new research center for advanced study in the visual arts. Ground-breaking ceremonies are held for the East Building on May 6. Paul Mellon speaking at the East Building ground-breaking ceremony, May 6, 1971. National Gallery of Art, Gallery Archives. Left to right: Gallery president Paul Mellon, Chief Justice and Gallery chairman Warren Burger, and Gallery director J. Carter Brown at the East Building ground-breaking ceremony, May 6, 1971. National Gallery of Art, Gallery Archives. Left to right: Chief Justice and Gallery chairman Warren Burger, Gallery president Paul Mellon, and J. Slater Davidson Jr., president of Chas. H. Tompkins Company, the general contractor, at the East Building ground-breaking ceremony, May 6, 1971. 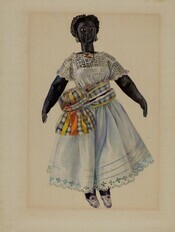 National Gallery of Art, Gallery Archives. National Gallery of Art former director David Finley (left), his wife, Margaret, and Mr. and Mrs. I. M. Pei (right) at the East Building ground-breaking ceremony, May 6, 1971. National Gallery of Art, Gallery Archives. Click an image above to open the slideshow, East Building Ground-Breaking Ceremony, May 6, 1971. Crowds in the exhibition Impressionist and Post Impressionist Paintings from the U.S.S.R. (April 1–29, 1973). 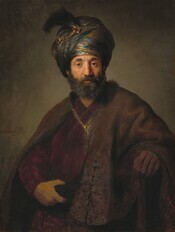 National Gallery of Art, Gallery Archives. 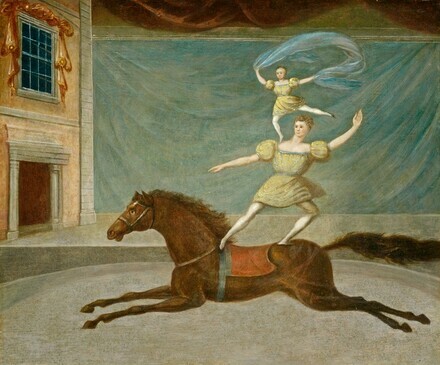 French impressionist paintings from the Hermitage and Pushkin Museums are exhibited, the first Western paintings lent to the United States by the Soviet Union. Paul Mellon (left), First Lady Betty Ford, and Chinese diplomat Liu Yang-Chiao at the opening reception for The Exhibition of Archaeological Finds of the People’s Republic of China (December 13, 1974–March 30, 1975). National Gallery of Art, Gallery Archives. The Exhibition of Archaeological Finds of The People's Republic of China opens and is seen by nearly 700,000 people. The Collectors Committee is established at the Gallery and adopts a three-year program to commission large-scale works of art for the new East Building. Paul Matisse (left) and Alexander Calder study a model of Calder’s mobile Untitled (1976) for the East Building, November 5, 1975. National Gallery of Art, Gallery Archives. Installing Alexander Calder’s mobile Untitled (1976), November 1977. National Gallery of Art, Gallery Archives. Installing Henry Moore’s Knife Edge Mirror Two Piece, 1978. National Gallery of Art, Gallery Archives. Architect I. M. Pei (left) and Gallery director J. Carter Brown (right) with sculptor Henry Moore for the installation of Knife Edge Mirror Two Piece, 1978. National Gallery of Art, Gallery Archives. Henry Moore with Knife Edge Mirror Two Piece, 1978. National Gallery of Art, Gallery Archives. Anthony Caro (left) overseeing the installation of his sculpture National Gallery Ledge Piece, March 1978. 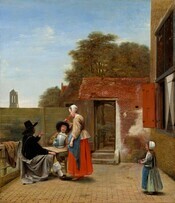 National Gallery of Art, Gallery Archives. Anthony Caro overseeing the installation of his sculpture National Gallery Ledge Piece, March 1978. Photograph by Dennis Brack/Black Star. National Gallery of Art, Gallery Archives. Installing Anthony Caro’s National Gallery Ledge Piece, March 1978. National Gallery of Art, Gallery Archives. Weaver Josep Royo installing his tapestry after Joan Miró’s Woman, March 1978. National Gallery of Art, Gallery Archives. Installing Josep Royo’s tapestry after Joan Miró’s Woman at the Gallery, March 1978. 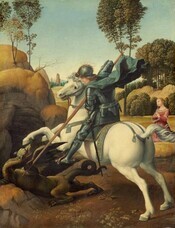 National Gallery of Art, Gallery Archives. Robert Motherwell’s Reconciliation Elegy, 1978. Photograph by Dennis Brack/Black Star. National Gallery of Art, Gallery Archives. Art handlers with Isamu Noguchi’s Great Rock of Inner Seeking, January 1978. National Gallery of Art, Gallery Archives. Isamu Noguchi’s Great Rock of Inner Seeking, January 1978. National Gallery of Art, Gallery Archives. James Rosati (second from right) overseeing the installation of his sculpture Untitled at the Gallery, March 1978. National Gallery of Art, Gallery Archives. James Rosati overseeing the installation of his sculpture Untitled at the Gallery, March 1978. National Gallery of Art, Gallery Archives. National Gallery of Art director J. Carter Brown (left) and collector and donor Madeleine Lejwa with Jean Arp’s tapestry Variation Sur Aubette, May 1976. National Gallery of Art, Gallery Archives. National Gallery of Art director J. Carter Brown and collector and donor Madeleine Lejwa with Jean Arp’s tapestry Variation Sur Aubette, May 1976. National Gallery of Art, Gallery Archives. Jean Arp’s Oriforme, c. 1978. National Gallery of Art, Gallery Archives. Click an image above to open the slideshow, Commissioned and Specially Selected Works of Art for the National Gallery’s New East Building, 1975–1978. The exhibition Treasures of Tutankhamun begins its US tour at the Gallery, where it is viewed by more than 835,000 visitors. Click an image above to open the slideshow, Treasures of Tutankhamun (November 17, 1976–March 15, 1977). 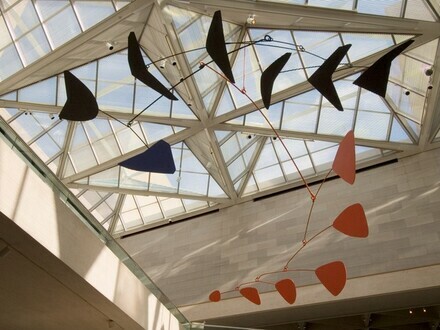 The untitled mobile by Alexander Calder, commissioned for the East Building, is installed in the atrium of the new building nearly a year after the artist's death. President Jimmy Carter (left), the Right Reverend John T. Walker, and Gallery benefactor Paul Mellon at the East Building dedication ceremony, June 1, 1978. 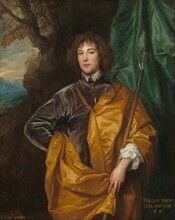 National Gallery of Art, Gallery Archives. The East Building is dedicated by President Jimmy Carter and opens to the public on June 1. Attendance reaches one million in less than two months. Listen to President Jimmy Carter's speech at the dedication of the East Building of the National Gallery of Art, June 1, 1978 (above). West Building Ground Floor gallery G-13, c. 1983. National Gallery of Art, Gallery Archives. New ground floor galleries in the West Building open to the public. Mark Rothko, No. 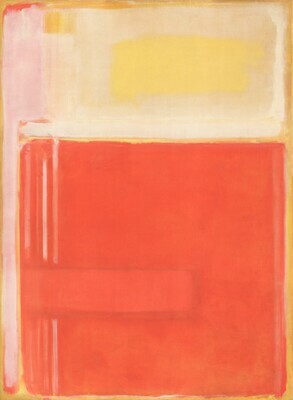 8, 1949, oil and mixed media on canvas, Gift of The Mark Rothko Foundation, Inc., 1986.43.147. Copyright © 1998 Kate Rothko Prizel and Christopher Rothko. The Mark Rothko Foundation gives the artist’s core collection and related research materials to the Gallery, which becomes the primary repository and study center for Rothko’s works of art (right). The West Building oculus project is completed, allowing the Rotunda to be seen from the Constitution Avenue lobby below. Mr. and Mrs. Paul Mellon donate nearly 200 works of art including 17 wax sculptures by Edgar Degas. The exhibition Treasure Houses of Britain: 500 Years of Private Patronage and Art Collecting opens and is seen by nearly one million visitors by the close of the exhibition (below). Tudor Renaissance gallery in The Treasure Houses of Britain: 500 Years of Private Patronage and Art Collecting (November 3, 1985–April 13, 1986). Jacobean long gallery in The Treasure Houses of Britain: 500 Years of Private Patronage and Art Collecting (November 3, 1985–April 13, 1986). Triumph of the Baroque gallery in The Treasure Houses of Britain: 500 Years of Private Patronage and Art Collecting (November 3, 1985–April 13, 1986). Souvenirs of Italy gallery in The Treasure Houses of Britain: 500 Years of Private Patronage and Art Collecting (November 3, 1985–April 13, 1986). Sculpture Rotunda in The Treasure Houses of Britain: 500 Years of Private Patronage and Art Collecting (November 3, 1985–April 13, 1986). Augustan Taste gallery in The Treasure Houses of Britain: 500 Years of Private Patronage and Art Collecting (November 3, 1985–April 13, 1986). 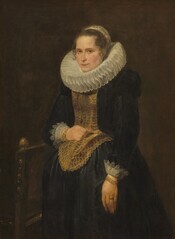 Dutch Cabinet gallery in The Treasure Houses of Britain: 500 Years of Private Patronage and Art Collecting (November 3, 1985–April 13, 1986). State bed from Calke Abbey in The Treasure Houses of Britain: 500 Years of Private Patronage and Art Collecting (November 3, 1985–April 13, 1986). Sporting Life gallery dining room in The Treasure Houses of Britain: 500 Years of Private Patronage and Art Collecting (November 3, 1985–April 13, 1986). Waterloo gallery in The Treasure Houses of Britain: 500 Years of Private Patronage and Art Collecting (November 3, 1985–April 13, 1986). Click an image above to open the slideshow, The Treasure Houses of Britain: 500 Years of Private Patronage and Art Collecting (November 3, 1985–April 13, 1986). 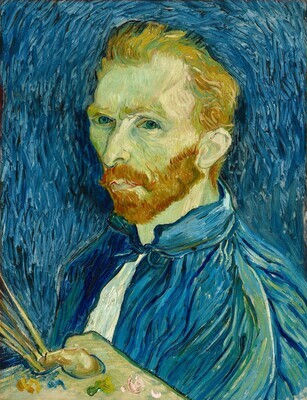 The New Painting: Impressionism 1874–1886 (January 17– April 6, 1986). 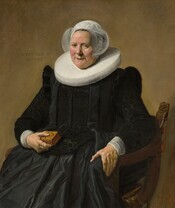 National Gallery of Art, Gallery Archives. The New Painting: Impressionism 1874-1886 commemorates the centennial of the last exhibition held by the impressionist painters. Twentieth-Century Art: Selections for the Tenth Anniversary of the East Building (December 13, 1988–December 31, 1990). 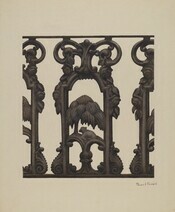 National Gallery of Art, Gallery Archives. The 10th anniversary of the opening of the East Building is celebrated with an expanded reinstallation of the Gallery’s 20th-century collection. 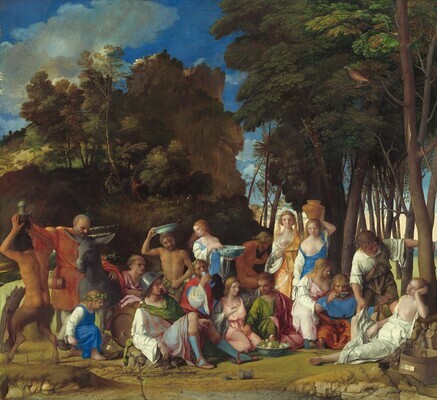 The masterpiece The Feast of the Gods by Giovanni Bellini and Titian is returned to public view after extensive conservation. The National Gallery of Art celebrates its 50th anniversary with an exhibition of nearly 300 works of art, given or pledged to the Gallery in honor of the occasion. Circa 1492: Art in the Age of Exploration opens in commemoration of the quincentenary of Columbus’s voyage to the Americas (below). Distinct Worlds room in Circa 1492: Art in the Age of Exploration (October 12, 1991–January 12, 1992). 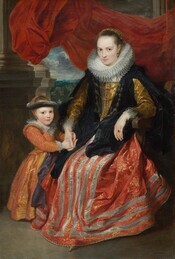 National Gallery of Art, Gallery Archives. Portugal room in Circa 1492: Art in the Age of Exploration (October 12, 1991–January 12, 1992). National Gallery of Art, Gallery Archives. Islam room in Circa 1492: Art in the Age of Exploration (October 12, 1991–January 12, 1992). 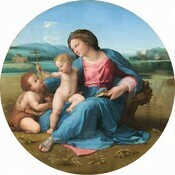 National Gallery of Art, Gallery Archives. Measuring and Mapping room in Circa 1492: Art in the Age of Exploration (October 12, 1991–January 12, 1992). 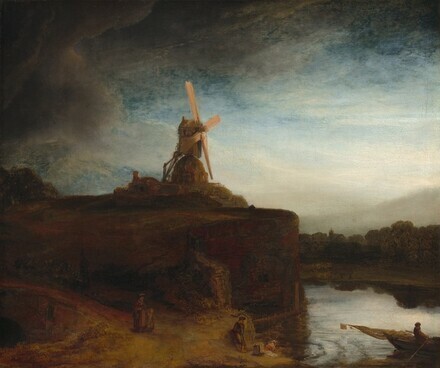 National Gallery of Art, Gallery Archives. Korea room in Circa 1492: Art in the Age of Exploration (October 12, 1991–January 12, 1992). 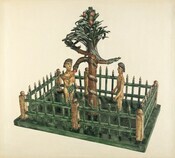 National Gallery of Art, Gallery Archives. Aztec room in Circa 1492: Art in the Age of Exploration (October 12, 1991–January 12, 1992). National Gallery of Art, Gallery Archives. 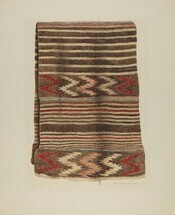 Inca room in Circa 1492: Art in the Age of Exploration (October 12, 1991–January 12, 1992). National Gallery of Art, Gallery Archives. Click an image above to open the slideshow, Circa 1492: Art in the Age of Exploration (October 12, 1991–January 12, 1992). Herbert and Dorothy Vogel in the Print Study Room at the National Gallery of Art, 1992. National Gallery of Art, Gallery Archives. Photograph by Lorene Emerson. Dorothy and Herbert Vogel donate their collection of minimalist and conceptual American art to the National Gallery. 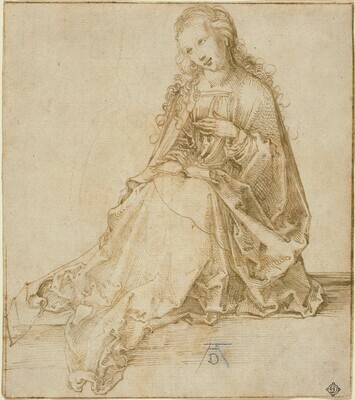 Albrecht Dürer, The Virgin Annunciate, 1495/1499, pen and brown ink, Woodner Collection, 1993.51.1. The Gallery accepts nine old master drawings from the Woodner Family Collection, one of several gifts given by the family over the years. Crowds waiting outside the exhibition Johannes Vermeer (November 12, 1995–February 11, 1996). National Gallery of Art, Gallery Archives. In its 20th anniversary year, the Collectors Committee acquires Cy Twombly’s Untitled (Bolsena) for the Gallery’s 20th-century collection. The Micro Gallery, an interactive multimedia computer system, opens in the newly redesigned art information room in the West Building. Three new cabinet galleries housing small Dutch and Flemish paintings on the West Building Main Floor are completed. The exhibition Johannes Vermeer attracts extraordinary crowds and receives overwhelming public response (right). National Gallery Sculpture Garden ground-breaking ceremony, June 12, 1997. Left to right: Laurie D. Olin, landscape architect, Olin Partnership; Earl A. Powell III, director, National Gallery of Art; Robert H. Smith, president, Board of Trustees, National Gallery of Art; Calvin Cafritz, president and chairman, The Morris and Gwendolyn Cafritz Foundation; and Robert Douma, vice-president, operations, Chas. H. Tompkins Company. National Gallery of Art, Gallery Archives. Photograph by Lorene Emerson. The Gallery debuts its website on the World Wide Web, which includes a database with information about works of art in the collection and related educational, exhibition, and scholarly resources. Ground breaking for the National Gallery of Art Sculpture Garden, a gift of the Morris and Gwendolyn Cafritz Foundation, takes place on June 12 (left). Betsy Cushing Whitney, widow of John Hay Whitney, bequeaths eight important paintings by major artists to the Gallery, including Self-Portrait by Vincent van Gogh (right). Van Gogh’s Van Goghs: Masterpieces from the Van Gogh Museum, Amsterdam, an exhibition of 70 paintings by the artist on loan from the Van Gogh Museum, Amsterdam, attracts capacity crowds. First Lady Hillary Rodham Clinton at the National Gallery of Art Sculpture Garden dedication, May 19, 1999. National Gallery of Art, Gallery Archives. The museum mourns the death of Paul Mellon, son of its founder, Andrew Mellon, and a preeminent leader and patron of the Gallery since serving as its first president in 1938. The multiyear project to replace the original West Building skylights with new specially designed glass panels and modern hardware is completed. The National Gallery of Art Sculpture Garden is dedicated on May 19. First Lady Hillary Rodham Clinton accepts the gift of the completed garden on behalf of the nation (left). A redesigned ice rink in the National Gallery of Art Sculpture Garden opens to the public in December. Designed to evoke the small private chambers of the Renaissance, a suite of three new Italian Cabinet galleries opens on the West Building Main Floor. Left to right: Earl A. Powell, director, National Gallery of Art; Calvin Cafritz, president and chairman of The Morris and Gwendolyn Cafritz Foundation; Frank Stella, artist; and Jeffrey Weiss, Gallery curator, in front of Prinz Friedrich von Homburg, Ein Schauspiel, 3X, 2001. National Gallery of Art, Gallery Archives. Frank Stella's monumental sculpture Prinz Friedrich von Homburg, Ein Schauspiel, 3X, a gift of the Morris and Gwendolyn Cafritz Foundation, is installed on the East Building lawn. West Building Sculpture Galleries, 2002. National Gallery of Art, Gallery Archives. Photograph by Rob Shelley. [GA IMAGE 98 and caption] West Building Sculpture Galleries, 2002. Photograph by Rob Shelley. National Gallery of Art, Gallery Archives. The redesigned Sculpture Galleries open on the West Building Ground Floor, presenting more than 900 works of art in 22 rooms. The East Building: Celebrating 25 Years (June 1, 2003–July 6, 2004). National Gallery of Art, Gallery Archives. Photograph by Rob Shelley. The Gallery commemorates the 25th anniversary of the East Building opening with special programs, tours, and an archival installation in the East Building Reception Room. National Gallery of Art Orchestra performing the 2,500th concert in the East Building, June 2004. National Gallery of Art, Gallery Archives. Photograph by Rob Shelley. 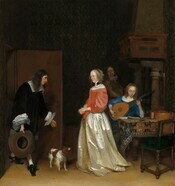 The National Gallery presents the 2,500th program in its series of free Sunday concerts, which began in December 1942. 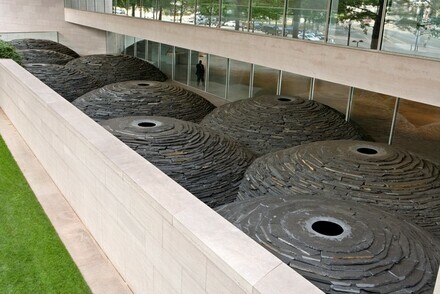 British artist Andy Goldsworthy completes Roof, a site-specific sculpture of nine stacked slate domes, on the East Building Ground Level. 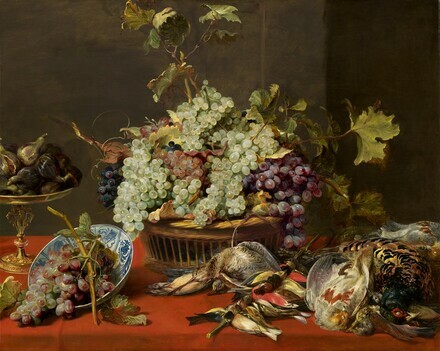 Frans Snyders' Still Life with Grapes and Game is acquired with funds provided by the Lee and Juliet Folger Fund in honor of the 20th anniversary of The Circle of the National Gallery of Art, a national membership group to support acquisitions and programs. Paul Mellon viewing Little Dancer Aged Fourteen by Edgar Degas in the West Building Ground Floor gallery, 1983. National Gallery of Art, Gallery Archives. Photograph by Dennis Brack/Black Star. The centenary of the birth of the museum's greatest benefactor, Paul Mellon, is celebrated with exhibitions on Eugene Boudin and J.M.W. Turner, a new film about Paul Mellon's life, a historical installation, and other special programs. Artist Leo Villareal programming his Multiverse installation in the Concourse walkway, October 2008. National Gallery of Art, Gallery Archives. Photograph by Rob Shelley. 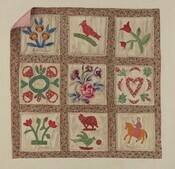 A national gift program is launched, The Dorothy and Herbert Vogel Collection: Fifty Works for Fifty States. Under the program, 2,500 works selected by the Vogels from their collection of contemporary art are distributed to art institutions in each of the fifty states. Sculptor Leo Villareal’s computer-programmed digital light project Multiverse is installed in the Concourse walkway (right). In the Tower: Philip Guston (January 15, 2009–January 3, 2010). National Gallery of Art, Gallery Archives. Photograph by Rob Shelley. In the Tower: Philip Guston opens, the first in a series of changing exhibitions of contemporary art in the East Building Tower gallery. 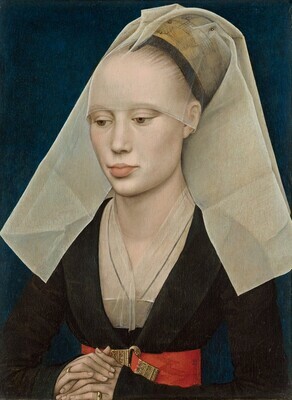 NGA Images debuts as a free online open access resource with over 21,000 high resolution digital images of works of art in the permanent collection. A refreshed website is launched, with new features, improved graphics, and an enhanced interface providing expanded access to museum and collection information and educational and scholarly resources. 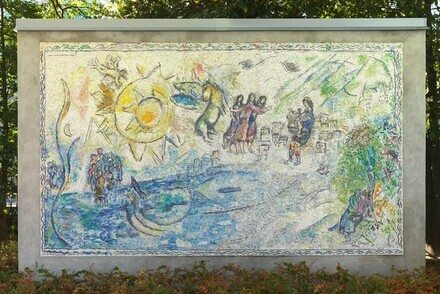 The exquisite glass and stone mosaic Orphée, designed by Marc Chagall and bequeathed to the Gallery by arts patron Evelyn Stefansson Nef, is installed in the Sculpture Garden (left). The National Gallery of Art signs a historic agreement with the Corcoran Gallery of Art for stewardship of the Corcoran art collection. East Building plaza and tetrahedrons, 2014. National Gallery of Art, Gallery Archives. Photograph by Rob Shelley. The reinstallation of 17,026 panels of exterior marble with new anchor supports is completed on the East Building. Two special exhibitions American Masterworks from the Corcoran, 1815–1940 and Focus on the Corcoran: Works on Paper, 1860–1990, feature works of art from the Corcoran collection. The Andrew W. Mellon Memorial Fountain, 2016. National Gallery of Art, Gallery Archives. Photograph by Rob Shelley. Celebrating the 75th anniversary of the Gallery, the newly restored Andrew W. Mellon Memorial Fountain is rededicated on March 17, one year after custody of the 1952 fountain and its surrounding park was transferred to the Gallery from the National Park Service (left). The East Building galleries reopen after three years of renovation of existing galleries and construction of new Tower galleries and an outdoor sculpture roof terrace (below). East Building Tower gallery 615A with Mark Rothko works of art, 2016. Photograph by Rob Shelley. 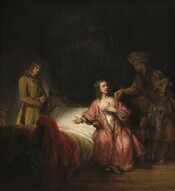 National Gallery of Art, Gallery Archives. East Building Tower gallery 615B with Barnett Newman’s Stations of the Cross, 2016. Photograph by Rob Shelley. National Gallery of Art, Gallery Archives. East Building Roof Terrace, 2016. Photograph by Rob Shelley. National Gallery of Art, Gallery Archives. East Building Tower gallery 606 with Alexander Calder works of art, 2016. Photograph by Rob Shelley. 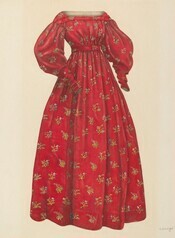 National Gallery of Art, Gallery Archives. East Building Upper Level gallery 407B, 2016. Photograph by Rob Shelley. National Gallery of Art, Gallery Archives. East Building Upper Level gallery 407C, 2016. Photograph by Rob Shelley. National Gallery of Art, Gallery Archives. East Building Upper Level gallery 415B, 2016. Photograph by Rob Shelley. National Gallery of Art, Gallery Archives. East Building Mezzanine gallery 217B, 2016. Photograph by Rob Shelley. National Gallery of Art, Gallery Archives. East Building Ground Level gallery 106C, 2016. Photograph by Rob Shelley. 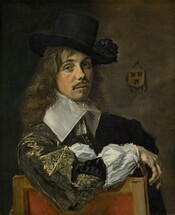 National Gallery of Art, Gallery Archives. Click an image above to open the slideshow, East Building Galleries, 2016. The Gallery’s first online free education course for teachers to learn about incorporating works of art into their school curricula opens for enrollment.